Last year, bitcoin exploded in value, going from under $1,000 a coin at the beginning of 2017 to an all-time high of nearly $20,000 on December 17. Shortly thereafter, bitcoin entered a bear market, and is down nearly 40% since the beginning of the year. According to Google Trends, interest has steadily declined since its peak. Bear markets, however, usually don’t last forever. Sooner or later, something happens that reignites the public’s interest and causes the bitcoin price to rise. For example, institutional investors such as endowment funds might decide to start dabbling in this new asset class. Bear markets such as these tend to be good times for long-term investors to start accumulating an asset. Bitcoin currently sits at $8,200 a coin, but some see bitcoin going much higher in the not-too-distant future. Some of these figures have impressive backgrounds in the fields of finance and technology. They have made bold predictions in the past, some of which have come true. Let’s take a look at four of the biggest bitcoin bulls. Prediction: Bitcoin at $100,000 by 2020/2021, $1 million by 2037. Chamath Palihapitiya ran AOL Instant Messenger and later served as an executive at Facebook, Inc. (NASDAQ:FB). He founded the venture capital firm Social Capital in 2011, which has invested in startups such as Box Inc (NYSE:BOX) and Yammer, which was acquired by Microsoft Corporation (NASDAQ:MSFT) in 2012. He also is part-owner of the Golden State Warriors. Palihapitiya got in early, having bought bitcoin at around $100 a coin. He owned $5 million in bitcoins in October 2013, when it was trading under $200. Still, Palihapitiya thinks bitcoin can appreciate further. On December 12, he predicted that bitcoin would reach a price of $100,000 in three or four years, and $1 million within 20 years. Palihapitiya is known for making bold predictions. As I noted in 2016, he sees Amazon reaching a market capitalization of $3 trillion. Last year, he predicted that Tesla Inc (NASDAQ:TSLA) would eventually capture 5% of the global market for cars and a $336 billion valuation. Prediction: Bitcoin at $250,000 by 2022 (April 2018). Tim Draper was an early investor in Internet companies. In 1985, he founded the Silicon Valley venture capital firm Draper Fisher Jurvetson, which invested in Skype, Hotmail, Tesla, SpaceX and Baidu Inc (NASDAQ:BIDU). He is also bullish on cryptocurrencies. On April 12, Draper predicted that bitcoin would reach a price of $250,000 by 2022. He sees cryptocurrencies like bitcoin eventually replacing fiat currencies such as the U.S. dollar and the Euro. Central banks such as the Federal Reserve, the European Central Bank and the Bank of Japan can always print more dollars, euros or yen. Indeed, they did this in recent years following the 2008 global financial crisis. When more dollars are printed, the value of the dollar goes down. This cannot be done with bitcoin. The total supply of bitcoins is permanently capped at 21 million. Draper purchased 30,000 bitcoin in 2014 for $19 million. In September 2014, he predicted that the bitcoin price would reach $10,000 within three years. This prediction came true. Bitcoin hit $10,000 on November 29, 2017. Prediction: Bitcoin at $500,000 by 2020 (July 2017), $1 million by 2020 (November 2017). John McAfee founded McAfee Inc., which sells antivirus software, in 1987. McAfee sought the Libertarian Party nomination for president in 2016. He also is an outspoken supporter of cryptocurrencies. McAfee became chairman and CEO of MGT Capital Investments Inc. (OTCMKTS:MGTI), a bitcoin mining firm, in May 2016. Later that year, the Securities and Exchange Commission (SEC) subpoenaed MGT, causing the stock to fall. McAfee stepped down as chairman and CEO of MGT in August 2017 and left the company a few months later. In July 2017, McAfee predicted that bitcoin would reach $5,000 by the end of the year and $500,000 by 2020. In November 2017, he increased this to $1 million. Despite bitcoin falling in December 2017, he remained bullish, advising investors not to sell. McAfee is even more bullish on privacy coins such as Monero, Verge and Zcash, which claim to be untraceable and anonymous. Prediction: Bitcoin at $1 million by 2020 (November 2017). James Altucher is an entrepreneur, angel investor, fund manager, and self-help guru. He founded StockPickr, which was acquired by TheStreet, Inc. (NASDAQ:TST) in 2007. Like McAfee, Altucher thinks the price of bitcoin will reach $1 million by 2020. In 2013, Altucher released his book Choose Yourself, which for several weeks was available for sale exclusively in bitcoin. Altucher is bullish on other cryptocurrencies; in December he said he owned Ethereum, Zcash, Litecoin and Filecoin. Altucher raised eyebrows in 2007 by stating that Facebook could become a $100 billion company, which it did in 2012. Cryptocurrencies are high-risk investments, and investors should understand these risks before they decide to buy bitcoin. Allianz SE (OTCMKTS:AZSEY) released a report last month calling cryptocurrencies a bubble at risk of bursting. For one thing, if your bank or brokerage fails, the FDIC or SIPC will step in to help you get your money back. This isn’t the case with cryptocurrencies, as Coinbase, a popular cryptocurrency wallet, notes on its site. Investment risks tend to be even greater with altcoins, cryptocurrencies other than bitcoin. But if you think bitcoin does have a future, now may be the time to buy. 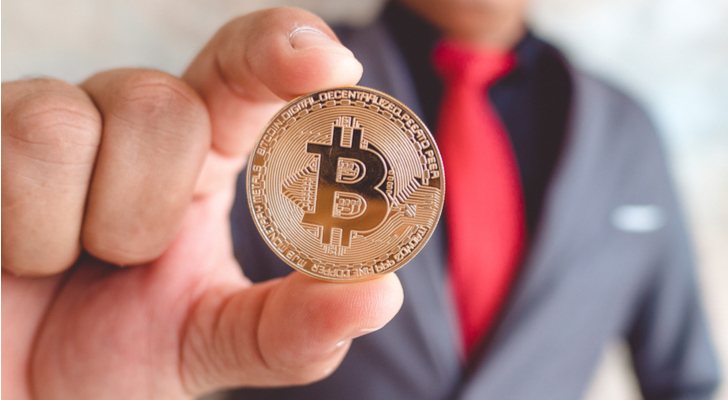 Article printed from InvestorPlace Media, https://investorplace.com/2018/04/bitcoin-bulls-four-investors-bold-predictions/.